JR Central class 115 version 1000 EMU. 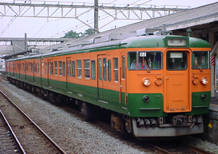 This 115 unit consists of 3 permanently coupled cars: One motorized car class 115-1000 in one end of the train, a motorized center car class 114-1000 and a trailer car class 115-1000 in the train's other end. 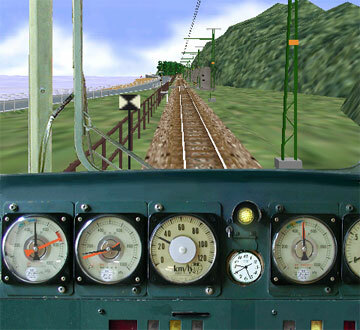 Photorealistic driver's stand with speedometer, 2 manometers (pressure gauges), clock and pilot lamp. The website from which this train could be downloaded has since >10 years ago disappeared from the Internet.